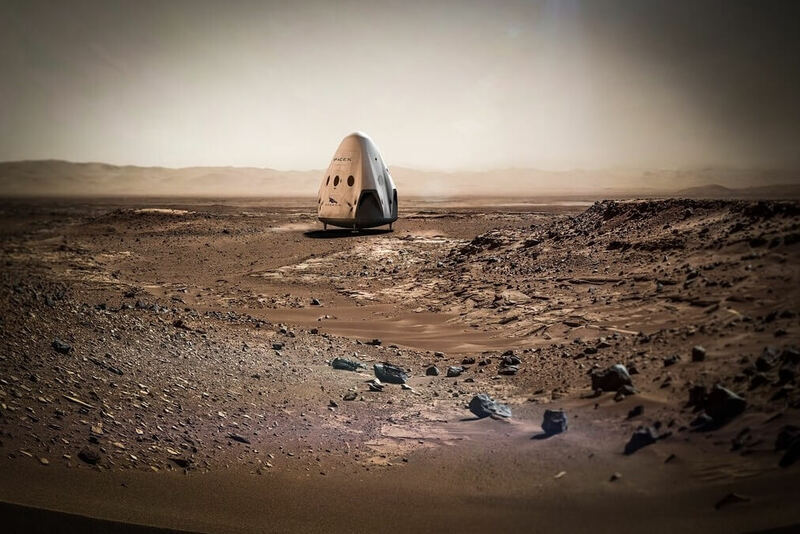 Unlike other companies, SpaceX appears fully intent on one day sending humans to Mars. The commercial spaceflight company on Wednesday said via Twitter that it aims to send its Dragon spacecraft to Mars as soon as 2018. Putting people on Mars is still many years away as NASA or a private company like SpaceX would first need to put in place supplies and structures to sustain human life. Before that could happen, however, they’d need to figure out how to safely land massive payloads on the Red Planet. As The Verge points out, spacecraft returning to Earth have a thick atmosphere to help them decelerate. Mars’ atmosphere, however, is just one-hundredth the pressure of ours meaning it provides far less drag to slow down incoming craft, thus increasing the chances of a hard landing that could damage / destroy cargo. SpaceX’s language suggested it may use multiple Dragon spacecraft to “inform overall Mars architecture” which likely means they’d be used to survey the land and help develop methods to deal with Mars’ thin atmosphere as it relates to landing. A SpaceX spokesperson told Gizmodo that they intend to use Falcon Heavy rockets currently under development to send the Dragon spacecraft on their way. A test flight of the first Falcon Heavy is expected to take place in November. SpaceX chief Elon Musk added via Twitter that its spacecraft is designed to land anywhere in the solar system and that the mission to Mars will be its first test flight.